Mladá Boleslav/Shanghai, 20 April 2015 – New models welcome the dawn of a new era for ŠKODA in China. At the Shanghai Auto Show 2015, the Czech carmaker is presenting the new ŠKODA Fabia and the new ŠKODA Superb for the first time in China. 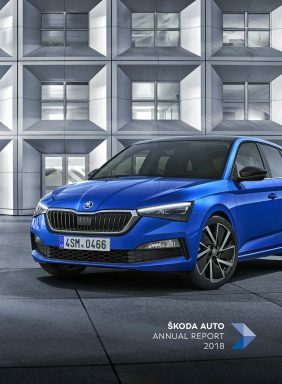 With this double premiere in China, ŠKODA is emphasising their vision of making the brand stronger and more modern, and accelerating growth with the highest quality cars. Over the coming years, ŠKODA plans to increase sales to over 500,000 vehicles annually in China. In the first quarter of 2015, the brand sold 71,700 vehicles on the Chinese market – an increase of 15.6% and a new sales record for this period. 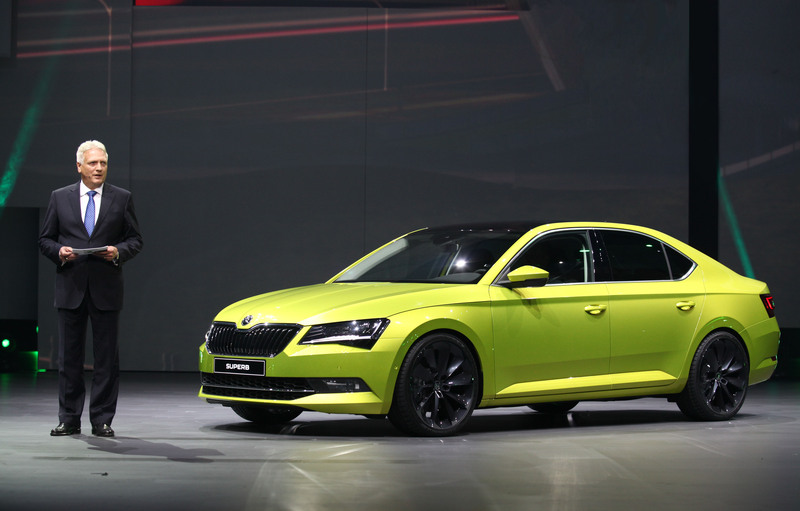 ŠKODA also achieved a new sales record in China for the year 2014, delivering 281,400 cars to customers (plus 24%). In 2014, ŠKODA first presented the brand’s new design development in the form of the spectacular ŠKODA VisionC show car. “The ŠKODA VisionC was a clear signal for the future direction of the brand. The new Fabia and the new Superb have made this vision a reality,” explains Prof. Vahland. The ŠKODA Fabia is the first series model to sport the new development of the brand’s design language to a more modern and expressive level. 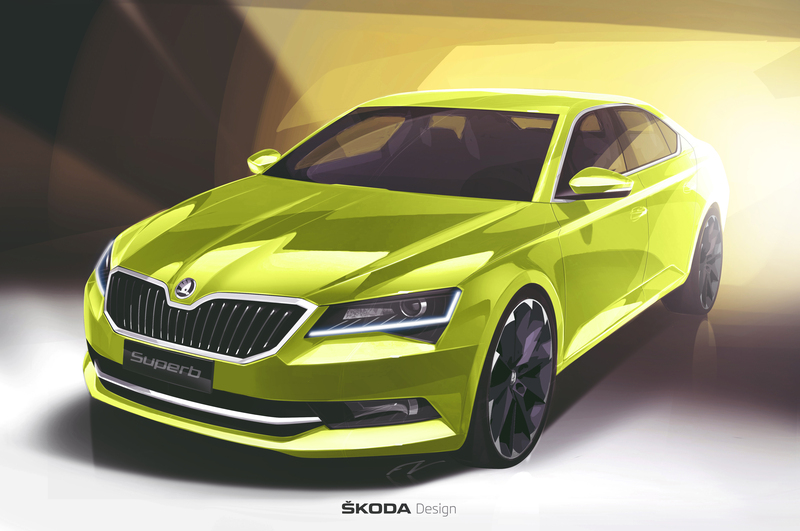 The brand’s flagship, the new ŠKODA Superb – the best ŠKODA of all time – is taking a further step towards the future of the brand. The first time the new ŠKODA Fabia will be seen in China is at the Shanghai Auto Show. The small car is modern, dynamic and expressive. At the same time, the third generation features innovative technology, and is more practical and spacious than ever. It is with this combination of emotional appeal, technology and functionality that the new ŠKODA Fabia is setting benchmarks in the small car segment. Balanced, sporty proportions, crystalline shapes, a striking interplay between light and shadow, precise lines and sharp edges characterize the latest generation of the ŠKODA Fabia. The third generation is 8mm shorter, 90mm wider and 31mm lower than its previous model. In addition, elements from ŠKODA Motorsport also shine through. The new small car looks impressive, showing the brand’s increased emotional appeal and youthful characteristics. In China, the new Fabia will be available with a choice of two new petrol engines: 1.4 MPI (66 kW) and 1.6 MPI (81 kW). Both engines are available with either manual 5-speed transmission or 6-speed automatic gearbox. 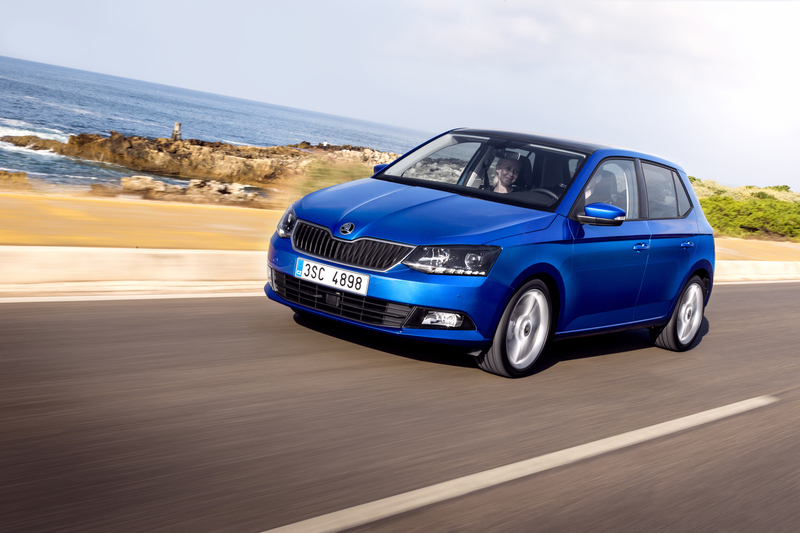 The new ŠKODA Fabia has an impressive amount of room and an even higher level of functionality. The passenger compartment is 21mm wider (front) and 8mm longer than its predecessor. The headroom for the driver and front passenger has increased, although the new Fabia is actually a little flatter in the body. A great number of ‘Simply Clever’ solutions make the new ŠKODA Fabia one of the most practical cars in its segment. The boot has a volume of 330 litres (1150 litres with the rear seat down). Since entering the Chinese market in 2008, more than 243,800 ŠKODA Fabias have been delivered to customers in the region. In 2014 almost 20,000 Chinese customers opted for ŠKODA’s small car. The manufacturer plans to build on this success with the third generation of the model. Production of the Fabia for the Chinese market is carried out in association with Shanghai Volkswagen (SVW) at the Anting plant. Its launch date is set for April. The new ŠKODA Fabia has already been on the European market since November 2014. The car has been doing exceptionally well: In the first three months of 2015, deliveries in Western Europe have increased by 1.6% and in Central Europe by 15.3%. In addition, the new ŠKODA Fabia has won 11 national and international awards. ŠKODA has been catapulted to a new level with the new ŠKODA Superb. The new flagship will be celebrating its Chinese premiere in Shanghai. The new Superb is the best ŠKODA of all time and is the climax of ŠKODA’s largest-ever model campaign. “The new ŠKODA Superb is an excellent means to meet the growing demands on our brand to offer the best cars that demonstrate the ŠKODA’s values, tradition and future orientation, and increase our desirability at the same time. The new Superb surpasses everything ŠKODA has ever produced, and points to the future of the brand,” explains Prof. Vahland. ŠKODA’s designers and developers have brought the new ŠKODA Superb to a new level in terms of design and technology. 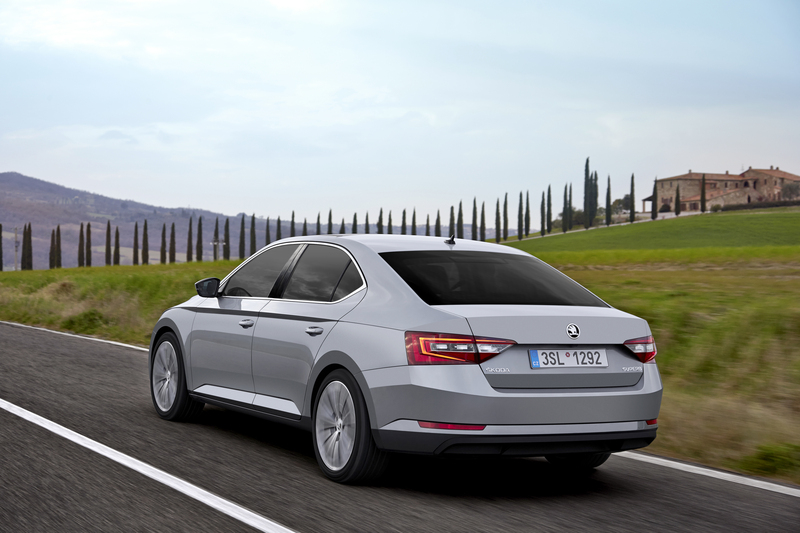 The ŠKODA Superb now features modern and emotive designs, above-average interior space and innovative MQB technologies developed within the Volkswagen Group. ŠKODA’s flagship also has many qualities previously reserved for higher vehicle classes, bringing the car to the top-end of the automotive mid-class. “The new ŠKODA Superb brilliantly combines the values that have made ŠKODA so popular with new demands on our brand – beauty, technology and functionality come together harmoniously,” says Prof. Vahland. “The experience and passion of 120 years of ŠKODA manufacturing have gone into developing the third generation of this model. 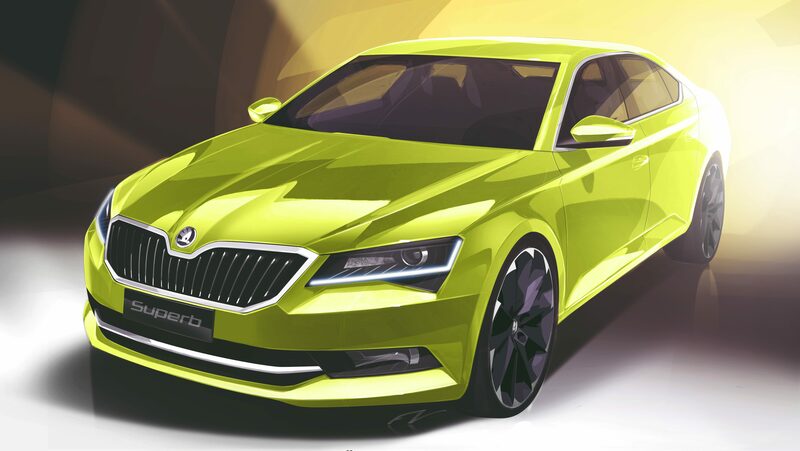 The new ŠKODA Superb is an impressive illustration of the brand’s design and engineering expertise, and is certain to win over customers on the Chinese market, both in the private and business sectors,” the CEO said. With its modern, expressive design, the new model has taken several exciting design elements from the ŠKODA VisionC show car into series production. The car is powerful, confident and emotive. From the front to the rear, from the large wheels to the gently sloping roofline, the new Superb has balanced proportions, distinctive contoured surfaces, sculptured shapes, purist precision and elegant lines. Crystalline elements, a tribute to Czech glasswork, can be seen in the finest detail, such as in the red thread – a recurring theme running from the exterior to the interior. The interior offers the highest quality in the smallest detail. Form and function combine in perfect unity. The ŠKODA Superb sets new standards in terms of space and comfort. Compared to the generous dimensions of the previous Superb, the corresponding interior measurements of the new generation model have increased once again. In addition, the new ŠKODA flagship meets even the highest demands with other new comfort solutions. The ŠKODA Superb has been at the forefront of the Czech carmaker’s model range since 2001. To date, the carmaker has delivered more than 700,000 first- and second-generation ŠKODA Superbs around the world. 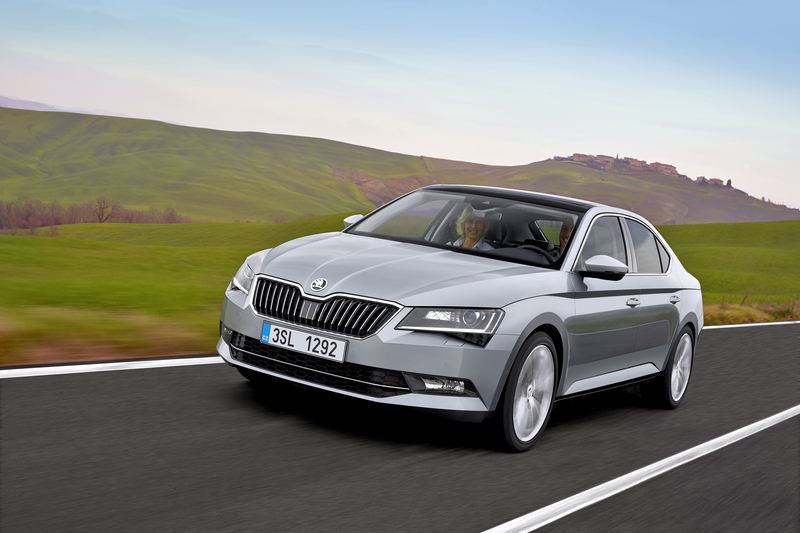 The second generation of ŠKODA Superb has been available on the Chinese market since 2009 to great success – with 211,000 Chinese customers opting for the flagship. Since entering the Chinese market in 2007, the Czech manufacturer has made positive developments: more than 1.4 million customers have opted for one of the brand’s models in that time. China has been ŠKODA’s largest individual market since 2010. In 2014, the carmaker’s sales in the region rose 24% to a new record level of 281,400 vehicles. This represents around a quarter of ŠKODA’s total sales last year. In the same year, ŠKODA grew twice as fast as the market. All signs point to further growth in 2015: By the end of March, ŠKODA’s sales had increased 15.6% in China. The manufacturer works in close partnership with the Volkswagen Group China and their local business partner Shanghai Volkswagen. ŠKODA is planning further growth in the most comprehensive model campaign in the company’s 120-year history. The target for the coming years is to sell at least 1.5 million cars annually. The record sales results of 2014 clearly show how well ŠKODA is doing on the international markets. Last year, ŠKODA sold more than 1 million vehicles for the first time in a single calendar year, with deliveries increasing 12.7% to 1,037,200 vehicles (2013: 920,800 deliveries). In China, the manufacturer grew by 24.0%, in Western Europe by 11.8%, and in Central Europe by 18.5%. ŠKODA’s global market share grew to 1.4% (2013: 1.3%). ŠKODA’s growth continued seamlessly into 2015. In the first quarter, ŠKODA delivered 265,100 cars to customers worldwide – an increase of 7.2% compared to the same period last year, making it the best quarter for ŠKODA in their corporate history.